Step 1. First, add chopped Paan Leaves in the blender and blend those a little. This will help you to get a smooth paste so that it mixes easily with all the other ingredients. Step 2. In the same blender; add Milk, Pista Ice-Cream, Gulkand, Coconut Powder, Tutti-Fruitti, Calcutta Paan Masala, and Green Food Color. Step 3. Blend everything together until you get the smooth thick consistency. Step 4. Pour the drink on small shot glasses. Garnish the top with Sweet Saunf. 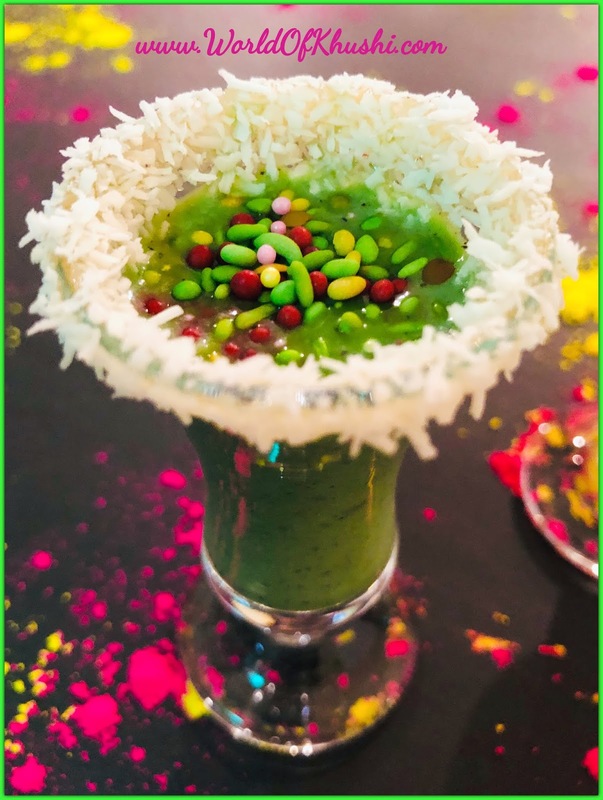 Your mouthwatering Paan Pista Shots are ready! Always serve chilled!! 1. I like very thick consistency as I like to give this at the end of the meal. If you feel that the consistency is very thick you can add more milk. 2. I am not adding any sugar as Pista Ice-Cream, Gulkand, and Tutti-Fruitti all are sweet enough. If you want you can add Sugar. 3. I am using Liquid Food Color that's why using 5-6 drop. If you are using Dry Food Color then a pinch is more than enough. Please add those according to your preference and need. 4. You can make this drink in advance. Just refrigerate the drink and whenever you want to serve, stir it once again. 5. You can even add Ice-cube in the blender if you want more chilled. 6. You can use normal Shots Glasses, I want to make it little fancier that's why I am using Martini Shot Glasses. 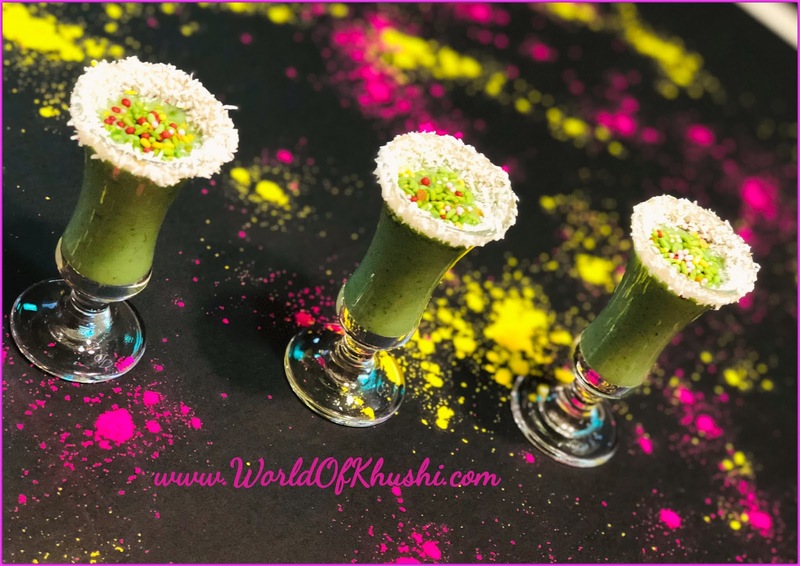 Do try this delicious Paan Pista Shots and impress your loved one! Don't forget to share your feedback with us. I hope you love this Recipe! If yes then please share it with your friends and family.